Terrific Tulip - Pattern Release! I am excited and happy to say that I have a PDF pattern for those of you interested in sewing a Terrific Tulip for Spring! 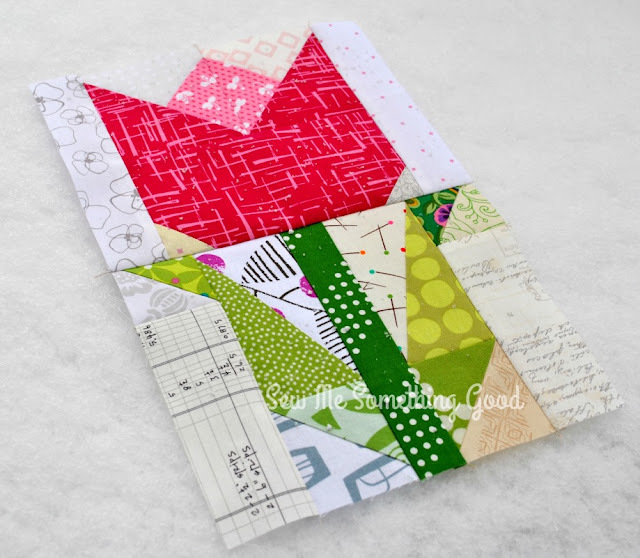 Early this month, I shared a trio of tulip blocks, that I had made from my sketches inspired by a tulip block from author and designer, Nancy Martin. Since that time, there have been a couple of modifications to my design, from the initial blocks I shared. This pattern will show you the method I use for making the block, as well as the fabric amounts needed in a simplified colour scheme. 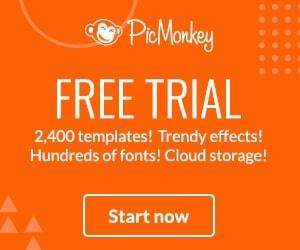 It is written with plenty of step by step diagrams and some handy tips. 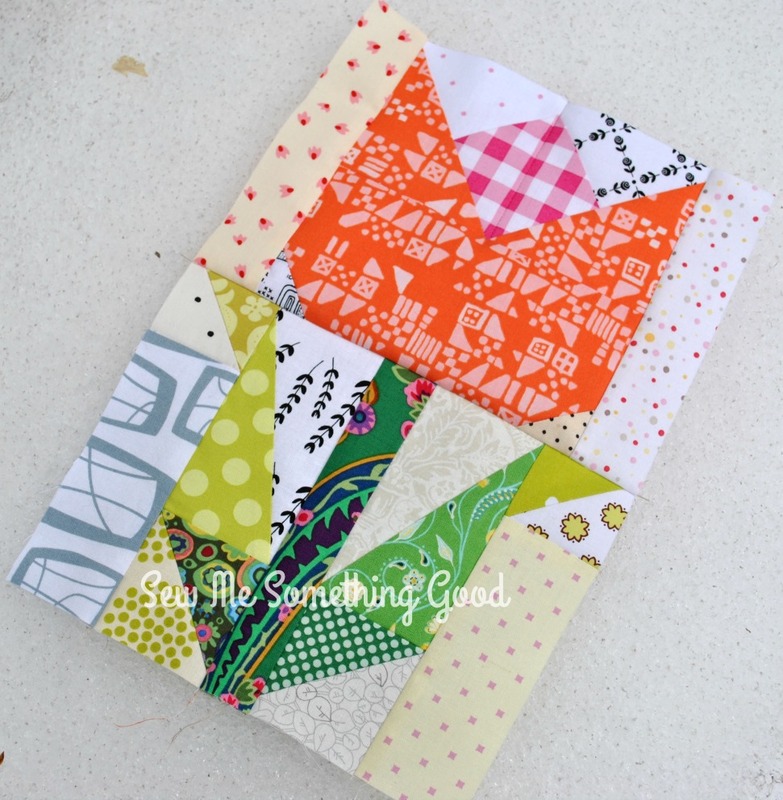 Choosing to go scrappy once you have the method and information in hand, is totally possible using my pattern. The pattern is for making a single block, so you decide what the finished project will be (a table runner, a mini quilt, a pillow or ???). 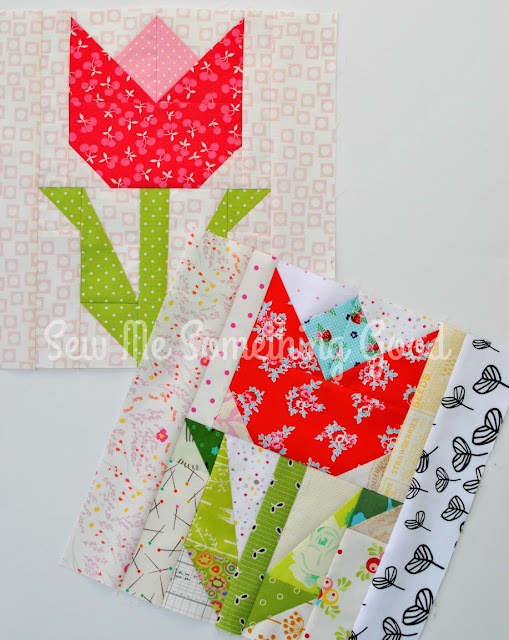 Grab some fabric, your rotary cutter and regular quilting ruler and get ready to sew a whole bouquet of Terrific Tulip block projects! 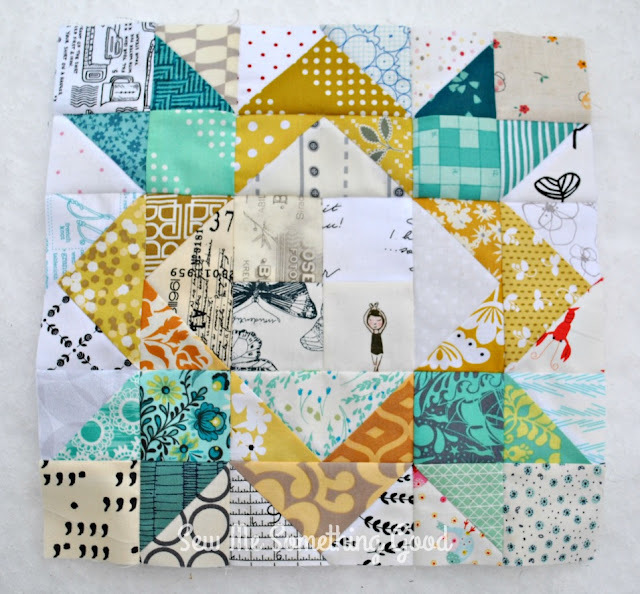 Huge thanks to my friends and pattern testers Maria (Maja's Paradis) and Amanda Jean (Crazy Mom Quilts) . I appreciate all your help, time and expertise! I could not have done this without you!! I can hardly wait to see what each of you will make with your "test" blocks. 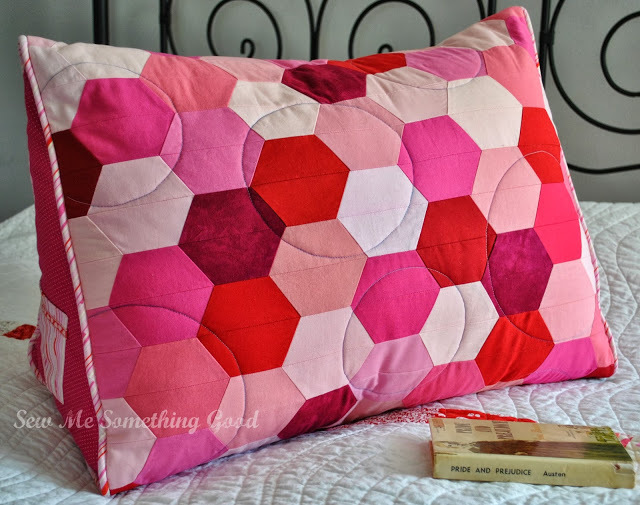 I'm linking up my latest finish with Amanda Jean and friends over at Crazy Mom Quilts for Finish it up Friday! Wedding Ring is the block for this week of the Sewcial Bee Sampler sew along, hosted by Sharon Holland and Maureen Cracknell. (for the free download to make this block, visit Maureen's or Sharon's blog). 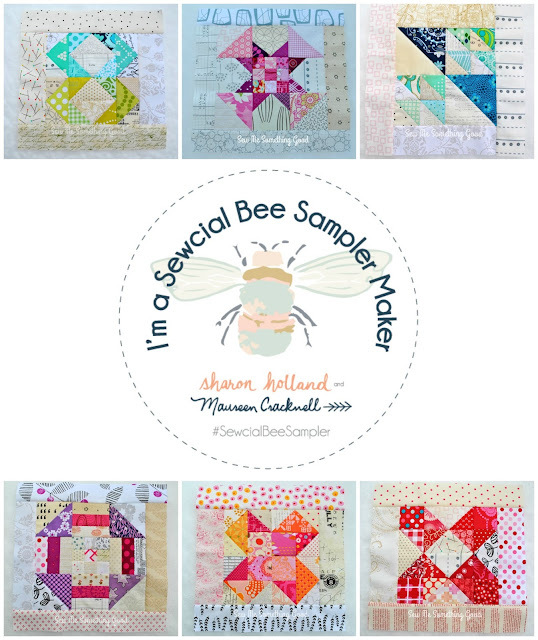 The Sewcial Bee Sampler sew along, hosted by Sharon Holland and Maureen Cracknell is moving right along! 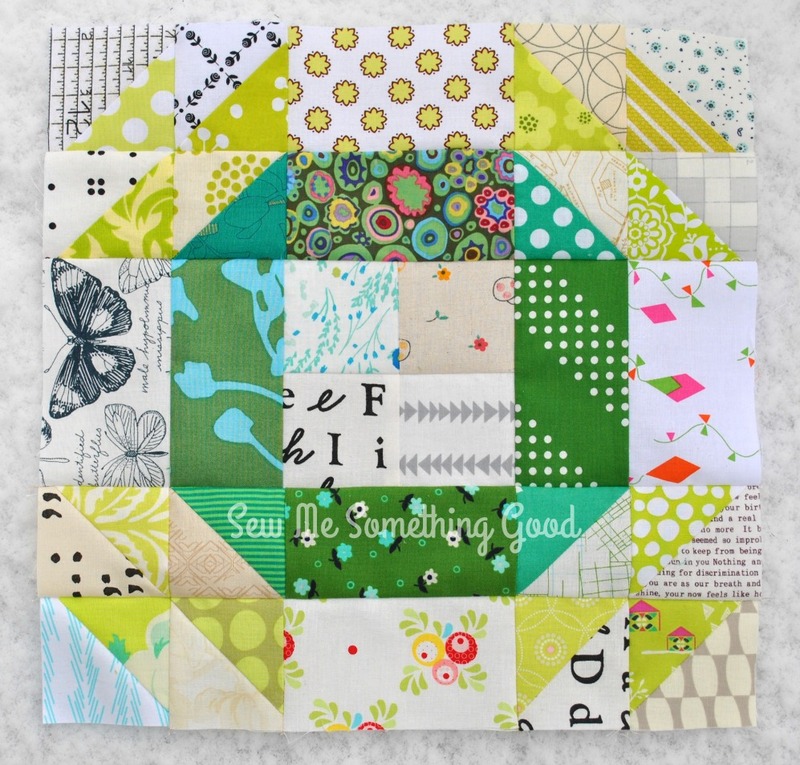 Clay's Choice is the block for this week (for the free download to make this block, visit Maureen's or Sharon's blog). 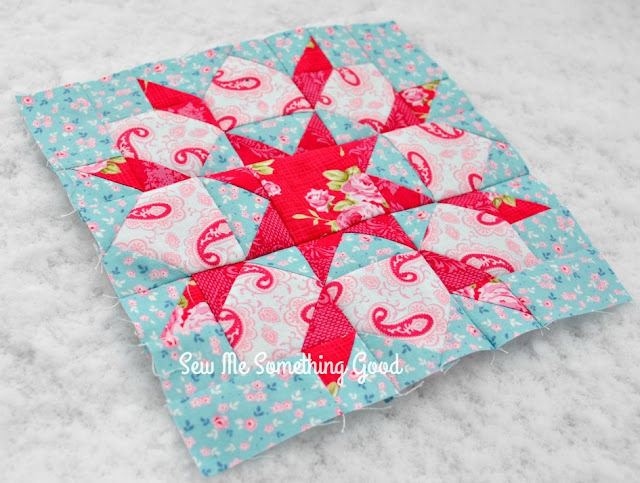 My version is made from my scraps, just like all the previous blocks I have sewn for the sew along. I decided to have a little extra fun by altering the given block design. Four of the half square triangles units, have each been changed into half a flying goose unit. 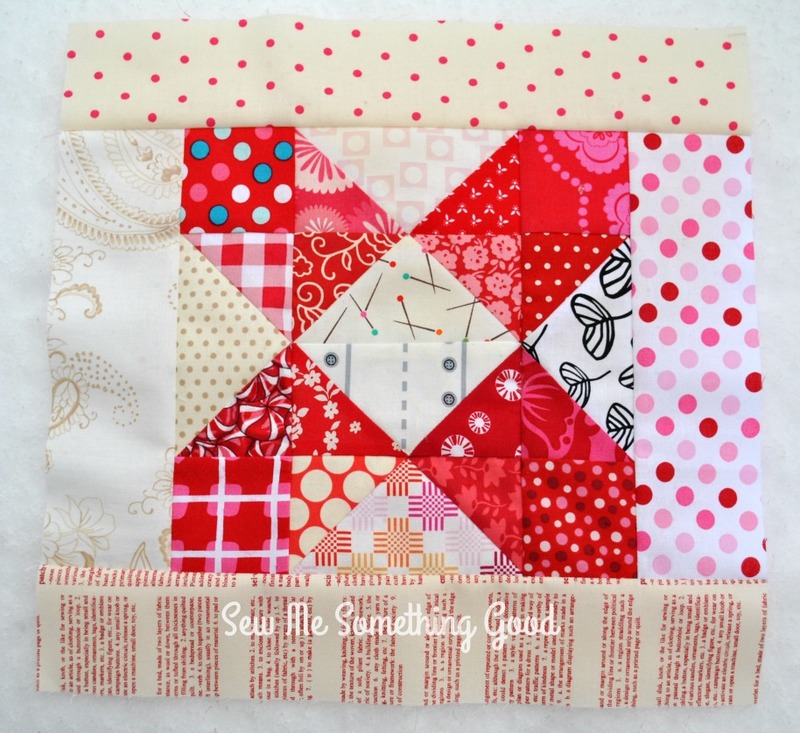 This change eliminates some seams and allows the opportunity to use some strips of low volume fabrics from my scrap bins, rather than just squares. If you're counting, I've used 13 (+ four more for the border strips) low volume fabrics for my scrappy background - not the most used in one of my versions of the sew along blocks, but the least, either. 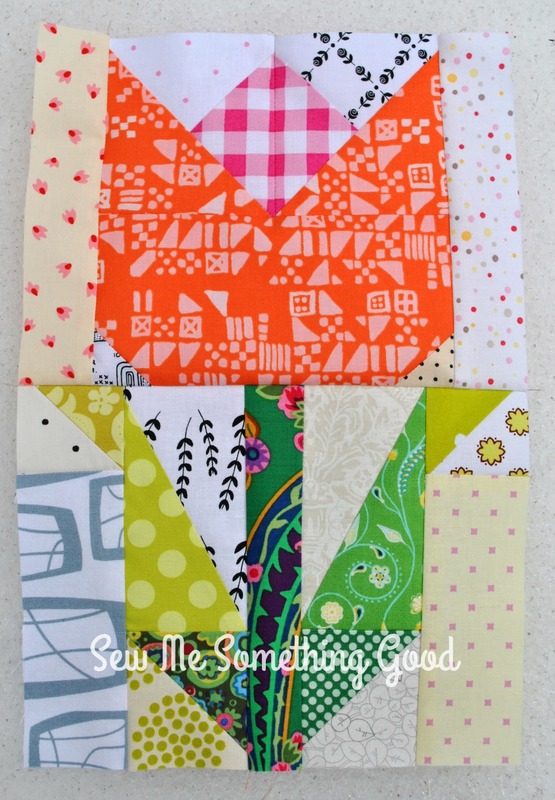 Love being able to sew from my scraps to make my blocks! The blocks are starting to add up! A total of 25 blocks to sew before combining them into a quilt, so we're only about a quarter of the way there. That means more scrappy sewing to enjoy! 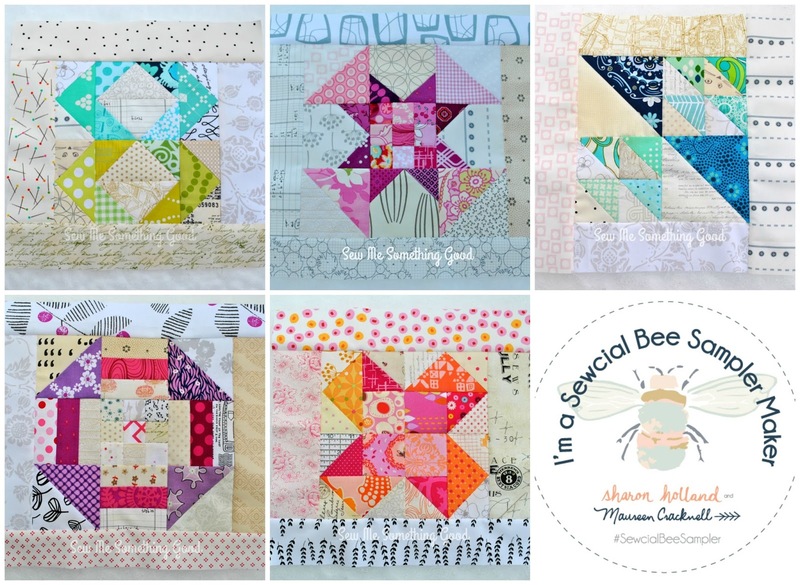 It's already week seven in the Sewcial Bee Sampler sew along, hosted by Sharon Holland and Maureen Cracknell! 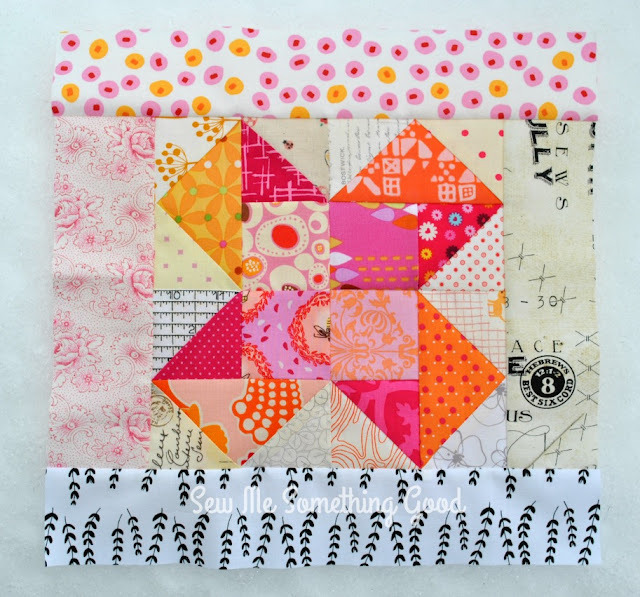 Time flies when you're having fun.😉 Dove in the Window is the block for this week (for the free download to make this block, visit Maureen's or Sharon's blog). 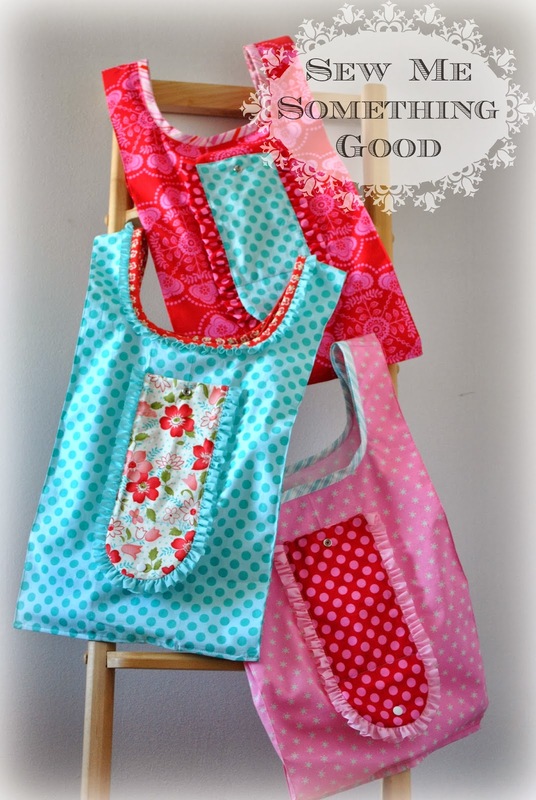 I want to encourage any one that is hesitating to take part in the sew along, to join in. The blocks are great skill builders and Maureen and Sharon are doing a wonderful job of inspiring and cheering us all on, plus giving lots of helpful tips. Instructions for each block are well written, so it's beginner friendly and for those of us with a bit of experience, we are certainly free to play a bit with things (as I have been doing by making extra pieces in my scrappy versions ;o). 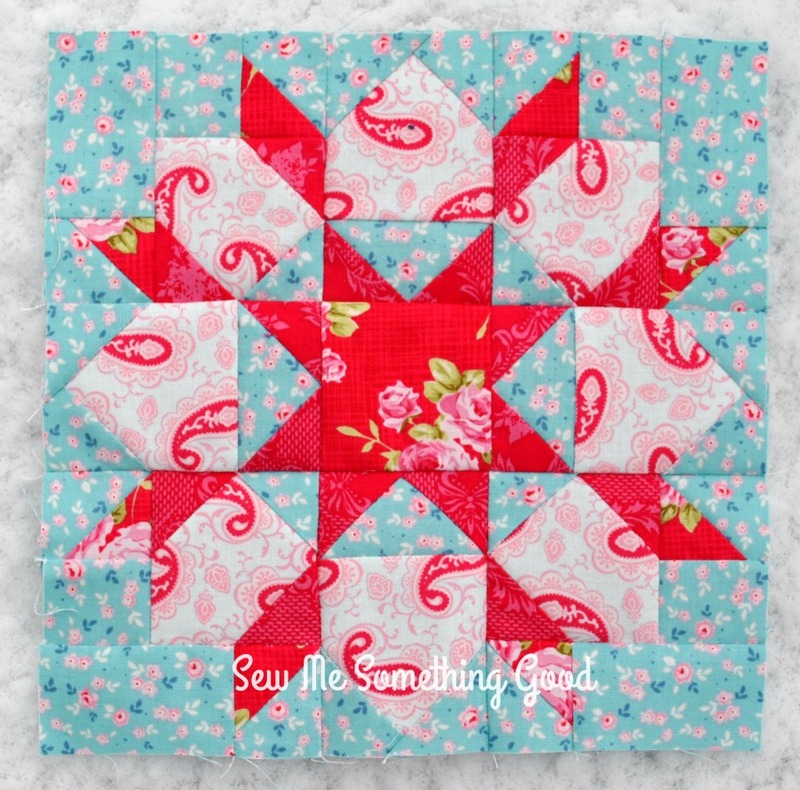 Best of all, you can sew along at your own pace, so even if the timing isn't the best for joining in at this moment, you can always download the PDF for each block so you have the information when you are ready to start sewing. Pop over to Maureen's blog and Sharon's blog for all the details! I was sifting through some of my sketches recently and I came across a tulip block that put on paper, months ago. Now seemed like as good a time as any to give this design a whirl! My block*** is inspired by a tulip block by author and designer, Nancy Martin. Her block can be found in her perpetual calendar (365 quilt blocks in a year) from That Patchwork Place. I've made several design changes; from the shape of the tulip (and the way it's pieced) to the sizes of the leaves and the way the stem is pieced. Spring being just around the corner (despite snow falling again overnight and this morning), stitching up a tulip block seemed like a fun way to ignore winter weather. The pink version was my first test and I liked it so much, that I soon found myself cutting out scraps for the orange version! 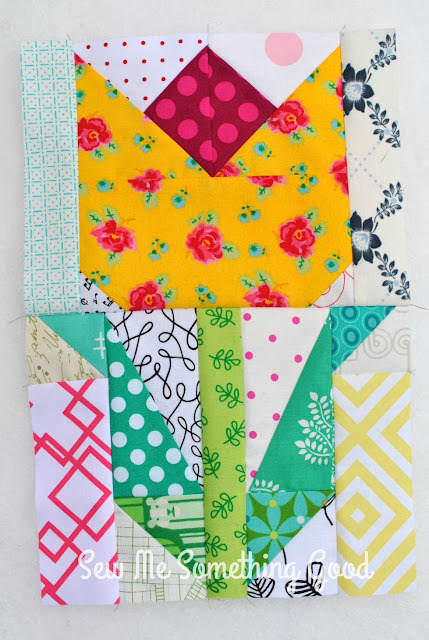 No plan yet, on exactly what I will make with these blocks, for now it's just fun sewing them up and playing with bright colours and lots of low volume fabric! If you are a long time visitor to my blog, you likely know that you don't find me sewing with the colour yellow (as much as I love bright, happy colours) as it is the one colour I find that can be overwhelming. A little goes a long way, when it comes to yellow, in my opinion. However, I do have a few bits of yellow in my stash (mostly from swaps) and the one I chose to use for my third tulip block came as a giveaway prize from a lovely lady in the Netherlands (way back in 2008?). It seemed only fitting that this tucked away piece should be sewn into a tulip! 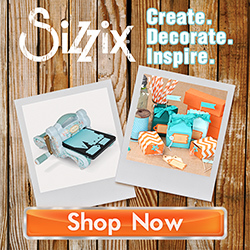 Wishing you sunny days and happy stitching! I'm currently working on a pattern for these blocks and will share as soon as it's ready! 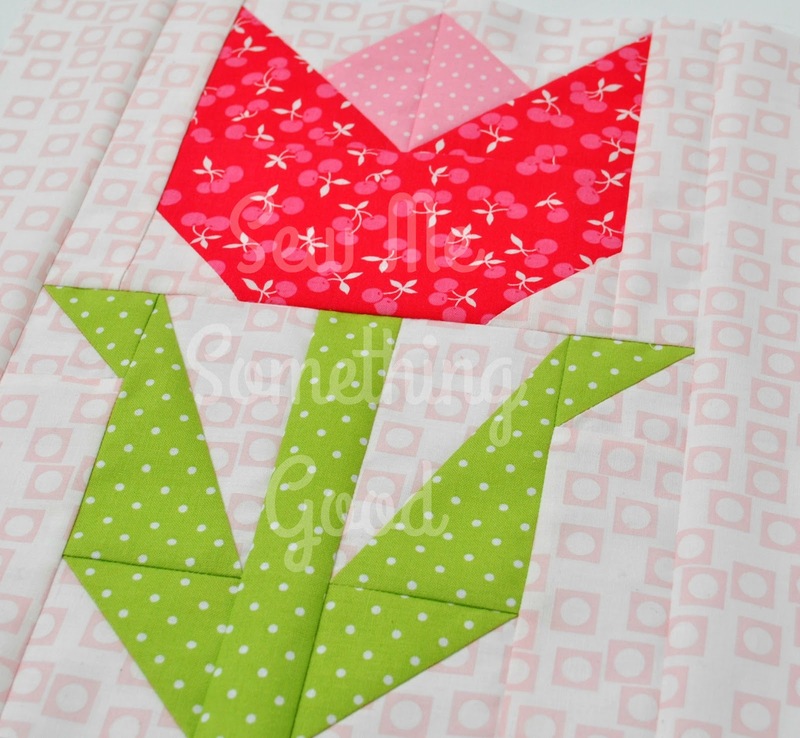 The Terrific Tulip pattern is now available on Craftsy as a PDF (click here)! Thanks to all expressing interest in my design. It's Wednesday and week six in the Sewcial Bee Sampler sew along, hosted by Sharon Holland and Maureen Cracknell. This week's block is called The Seasons (for the free download to make this block, visit Maureen's or Sharon's blog). If you download the directions for making this block; you may notice that my block differs from the original, as I chose to make flying geese units rather than half square triangles. It doesn't make for a huge difference, other than it eliminates a few seams. Since I'm going scrappy with my version, I deviate from the given instructions on certain design elements to make things work for me. 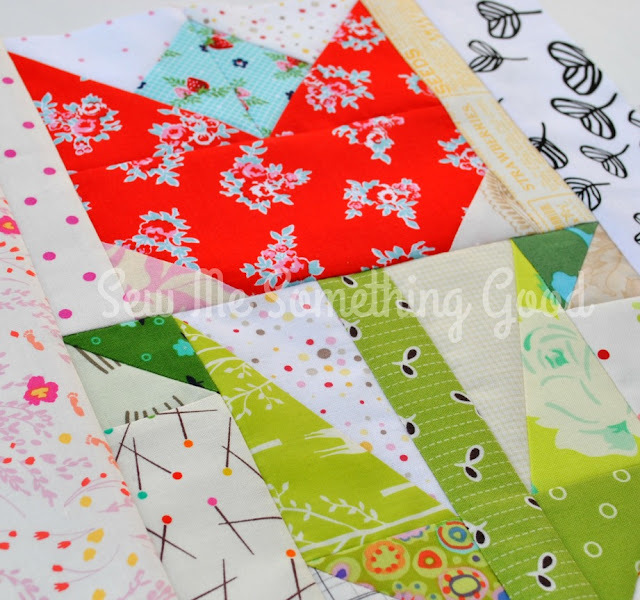 Yes, I could easily have made the allotted number of half square triangle units using my scraps, but I thought it would be fun to make them as flying geese units instead (allowing me to use strips, rather than just squares from my scraps). It's a little twist to the given block design, but not so much that it completely alters the look of the finished block beyond recognition. The biggest difference is in the number of fabrics I used to make my block over the one in the instructions. I have used 16 red fabrics as the main colour and 6 low volume fabrics as the background - compared to 1 main fabric and 1 background fabric in the SBS sewalong pattern. Plus, I used another four background fabrics to frame my block to make it finish at 12.5". Now that was some scrap busting! A few years ago, thanks to blog land, I made a lovely friend that lives in Sweden, Maja. Getting to know each other, we discovered several similar interests (quilting, scrappy patchwork and colourful fabric - just for starters! ;o). It also happens that we both adore the designs of Tone Finnanger - the talent behind the Tilda brand. A decade ago, I stumbled across one of Tone's books, Sew Pretty Homestyle and I fell in love with all things Tilda! 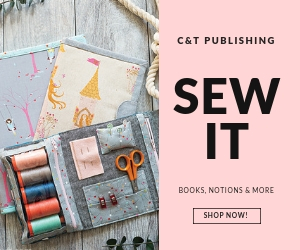 It is one of my favourite sewing books because I feel inspired every time I thumb through it. The projects are lovely and cleverly designed, but they are all the more appealing thanks to the fabric they are made from. Tilda fabric! Oh, my! Living in Canada, I could not source any Tilda fabrics on this continent and could only dream of one day having some to sew with. Little did I know 10 years ago, that I would see that dream come true, thanks to the generosity of a sweet friend living across the globe. A portion of my Tilda fabric stash - all thanks to Maja! Besides swapping for it, she likes to gift me some Tilda for special occasions (like my birthday!). She's so sweet! 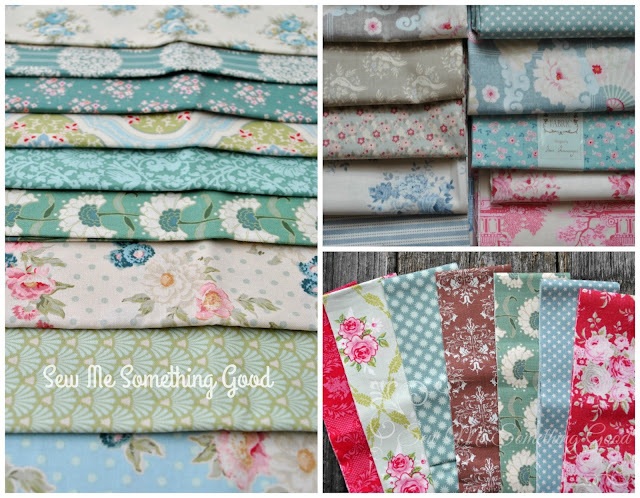 Earlier this year, we decided to do another fabric swap and these are the latest pretties she sent. There's fabric, buttons and Tilda notebooks. She totally spoils me! I have been treasuring every bit she sends me, squirrelling Tilda away in a container separate from all my other fabrics. Dreaming of the "perfect" project to use these lovelies. Until now, the only item I've made using my Tilda fabrics has been a pincushion! Fabric is for using, not hoarding, silly me! Laughing and telling Maja about what I've been doing, I mentioned that 2017 is going to be my year of Tilda - meaning I am determined to sew with those fabrics. I love them, but they need to become items to be used and enjoyed. To that end, I've dipped my toe in and started or should I say, I finally took the rotary cutter to them and started sewing ;o). Small steps towards my goal of sewing with my precious Tilda fabrics, found me making a mini swoon block. 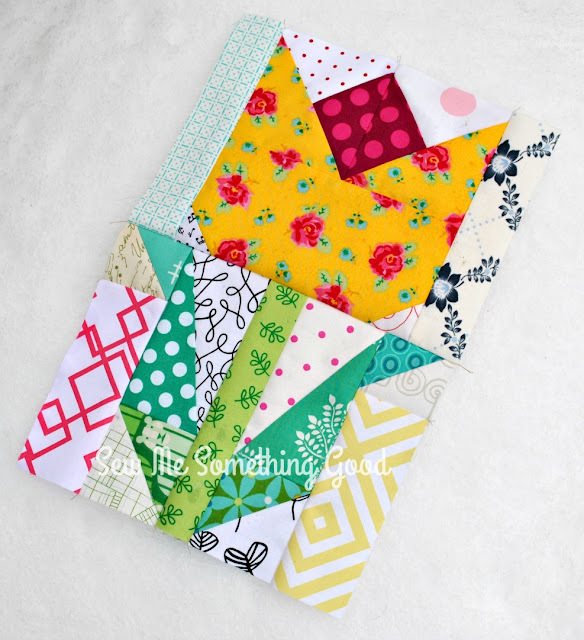 I'm not sure if I'm going to make more of these blocks, I might just finish this single block to hang in my sewing room as a visual nudge to keep dipping into those Tilda fabrics. PS. 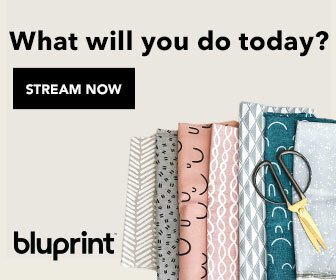 If you also have a love for Tilda fabrics and you live in North America, not too worry! 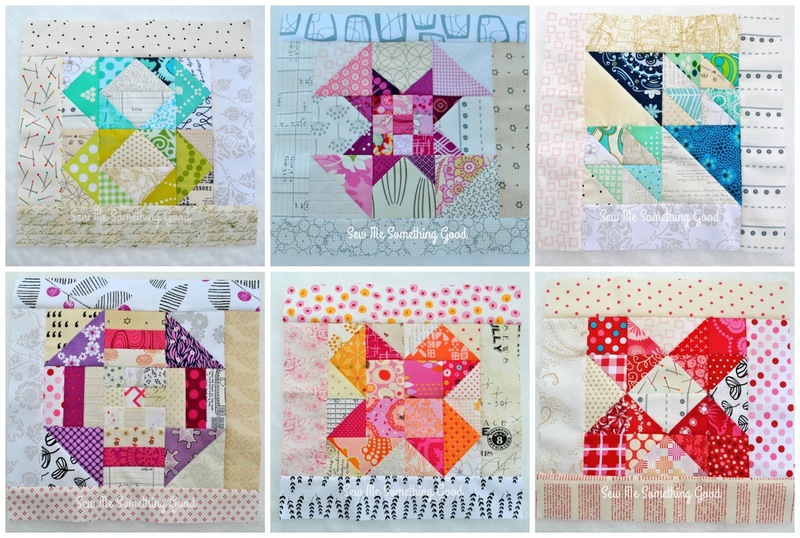 I'm happy to report that you can get your Tilda pretties from Andrea at Willow Cottage Quilt Co. and Julie at Intrepid Thread. Both these shops are selling Tilda fabrics. Woohoo! 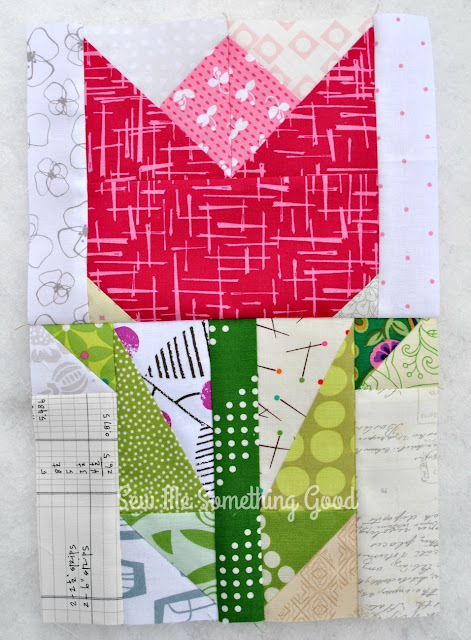 I am having the best time making my blocks from scraps! Basically, I figure out which colour I want to use and head straight into my scraps to find potential candidates for this week's block. Yes, it can mean that making my block isn't as straight forward as when you stick to the instructions, because instead of using three fabrics for this block, I have used 24 (which doesn't include the extra four fabrics I used for the borders). That is a fair amount of scrap busting, right? ;o) I am trying not to overthink my fabric placements, but I will admit that I do some editing. I am aiming to make my blocks a rainbow of colours combined with low volume fabrics for the backgrounds, borders and (eventually) for the sashing. It is exciting to see the blocks starting to add up! 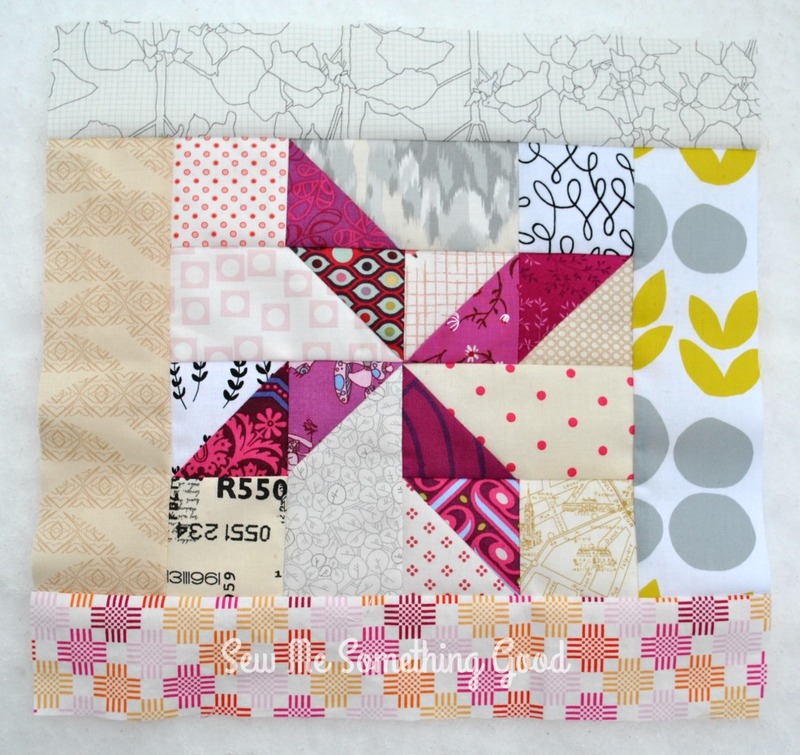 Since I am without a design wall in my new sewing room, I find that making a collage is useful in seeing how well my blocks are working together (and guiding me in choosing colours for future blocks). Here's how my first five blocks look together. 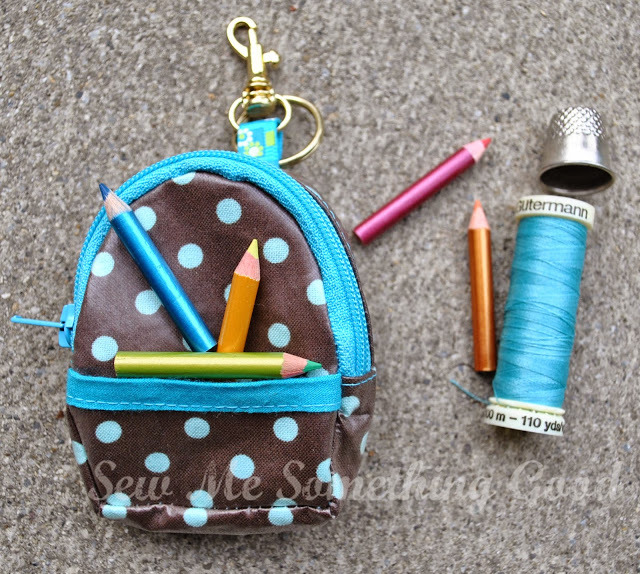 I want to encourage any one that is hesitating to take part in the sew along, to join in. The blocks are great skill builders and Maureen and Sharon are doing a wonderful job of inspiring and cheering us all on, plus giving lots of helpful tips. Instructions for each block are well written, so it's beginner friendly and for those of us with a bit of experience, we are free to play a bit with things (as I have been doing by making extra pieces in my scrappy versions ;o). Best of all, you can sew along at your own pace, so even if the timing isn't the best for joining in at this moment, you can always download the PDF for each block so you have the information when you are ready to start sewing.